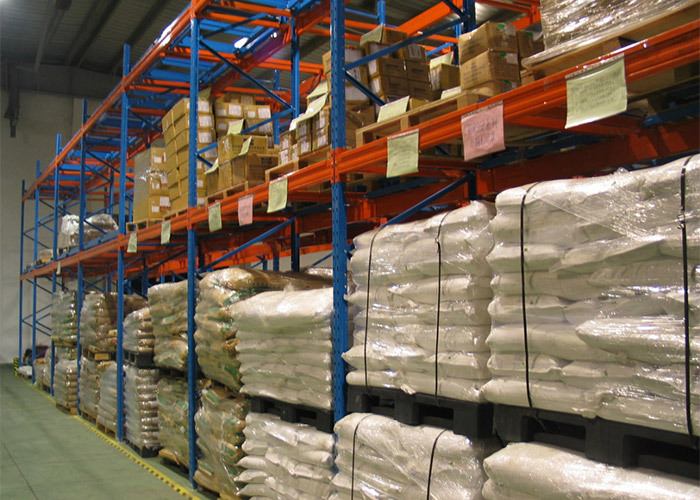 Push Back Pallet Racking are a perfect way to take optimal advantage of your warehouse while not having to slow product rotation or increase handling time. 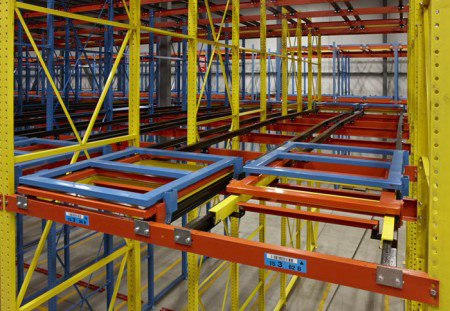 With the push back pallet racking system, the warehouse can store a larger number of pallets while maintaining more pallet positions than other high-density systems such as drive-in racking. 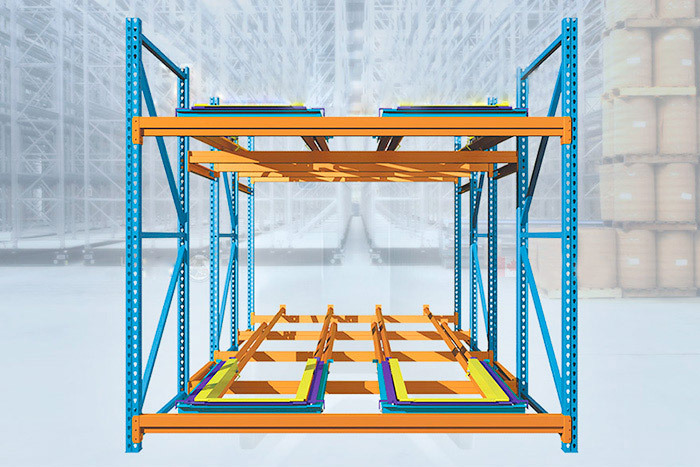 Push back rack system provides up to 90% more storage space than standard selective racks. 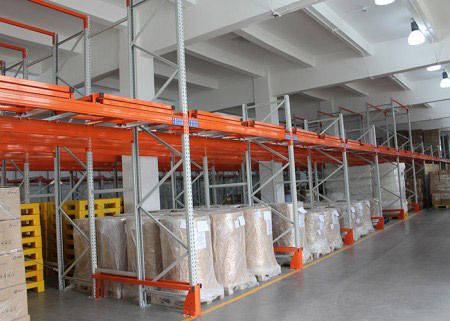 That is the reason why this kind of dynamic pallet storage system is becoming more and more popular, and it quickly becomes the preferred storage method in many sectors. 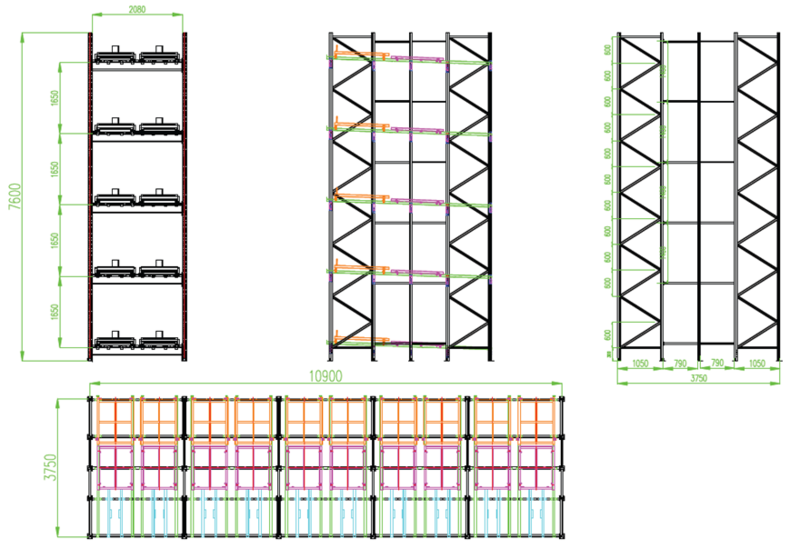 If you are looking for Push back pallet racking design or more information, please call us now and we will work with you to provide layout and budget for your warehouse. 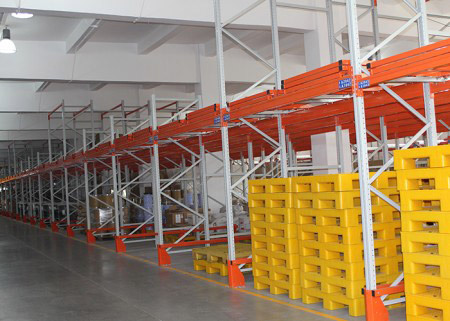 Rapidly handle almost all types of palletised goods. 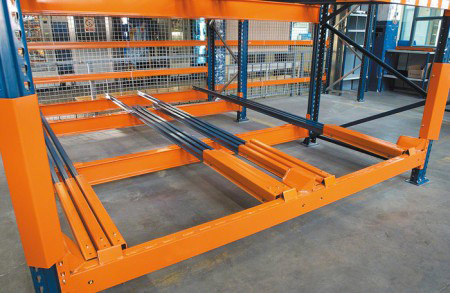 Strength and rigidity prevents compression from damaging to goods. 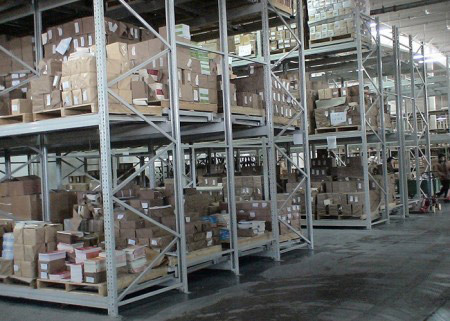 Bottom level of pallets can be stored on the floor to lowering structure costs.